Here are five things you should know about Yom Kippur, the Jewish Day of Atonement holiday that begins on Friday evening and concludes 25 hours later on Saturday night. Yom Kippur is the most solemn and holiest day on the Jewish calendar. It is also known as the “Sabbath of Sabbaths” because of its magnitude. In fact, it is such an important holiday that it can even occur on the Jewish Sabbath (as it does this year), making it the only time that fasting is allowed on the Sabbath. This Day of Atonement occurs on the tenth day of the first month of the Jewish calendar, rounding out the Days of Awe from Rosh Hashanah. Due to its popularity, you’ll notice local synagogue parking lots at full capacity on Yom Kippur, although many observant members of the Jewish faith do not drive on this day and therefore walk to and from the synagogue instead. Several school districts do not hold classes on Yom Kippur, but this year’s occurrence on a Saturday does not make that necessary. The abstaining from eating and drinking for the duration of this 25-hour holiday is well known. The other restrictions on Yom Kippur include the forbiddance of showering or bathing, sexual activity, using perfumes or colognes, and wearing leather shoes (a luxury in previous generations). The fasting is a way to create a sense of spirituality and to refrain from giving in to our impulses. The fast begins at sundown after a large meal and concludes 25 hours later with a traditional “break the fast” meal, which often includes dairy products and fish. There are many customs on Yom Kippur including special attire and traditional food items for the meals before and after the fast. Dressing appropriately at synagogue is important as Yom Kippur is the holiest day of the year, but modesty should also be a focus. It is traditional to wear white as a symbol of purity on the holiday and some will wear a white robe, called a kittel. It is common to see various forms of non-leather shoes being worn during the holiday, such as canvas sneakers and Crocs, due to the restriction on leather shoes. Historically, the end of Yom Kippur was a time for young singles to meet each other. The prayer book used on Yom Kippur is called a machzor, meaning a "cycle" because the calendar repeats its cycle each year. 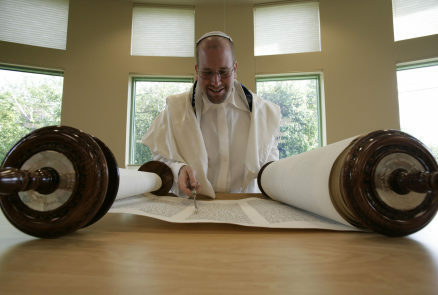 The opening prayer of the holiday is the famous Kol Nidrei service. Technically, it is a legal formula that is recited and not a formal prayer. Its roots are in the medieval period and its beautiful musical accompaniment make it well known worldwide. The final prayer for Yom Kippur, called Ne'ilah, is unique to the holiday. Its name means "closing" in Hebrew and refers to the proverbial closing of the gates of repentance. After the holiday, a brief ceremony called Havdalah (separation) is recited before the fast is broken.